It is always an important decision point when it comes to travelling somewhere: when? Guide books try and help you with their When to go chapter; but some readers, like me at times, might just use that chapter to avoid the “worst” seasons. Because frankly speaking, what is worse than a congestioned city or viewpoint? Maybe if you live in the middle of nowhere, you have little to worry about crowds? Personally, I enjoy looking at sites, but not looking at crowds looking at sites. Plus, I enjoy taking photos of these sites, without featuring thousands of fellow visitors. Sometimes, the price to pay for travelling outside of the crowd is high. But is it worth? Travelling off-season can mean travelling off-weather. I know this very well because some of my journeys have been amputated because of weather conditions. I travelled all the way to Taman Negara in Malaysia in November 2009 only to find out it was too rainy to organise any kind of trek in the jungle. 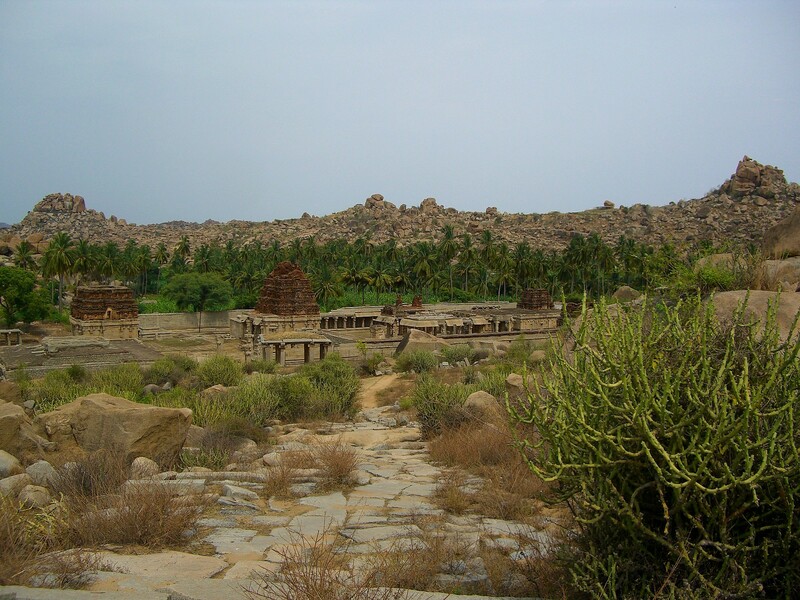 I did visit Hampi end of May in 2009, but I genuinely suffered from the heat. 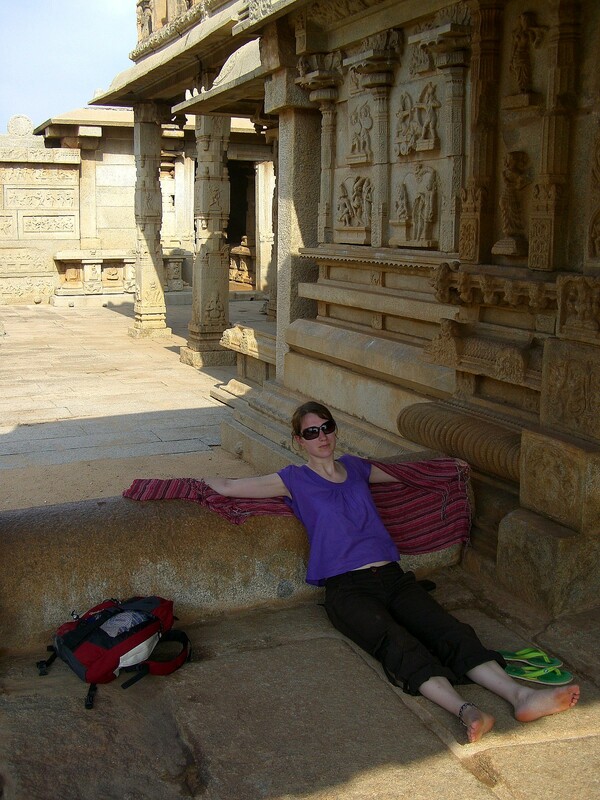 It was so hot in Hampi (India) that May, that I had to take breaks in the shadow. But at the same time, weather is unpredictable in most places, and global climate change does not make this less relevant. Last summer’s (2014’s) was surprisingly, and devastatingly, bad in Serbia. We had days and days of rain where it usually was dry and sunny. What can be worse than losing one of two days of a short holiday staring at the rain? But to be honest, that can happen in the middle of summer too, can’t it? 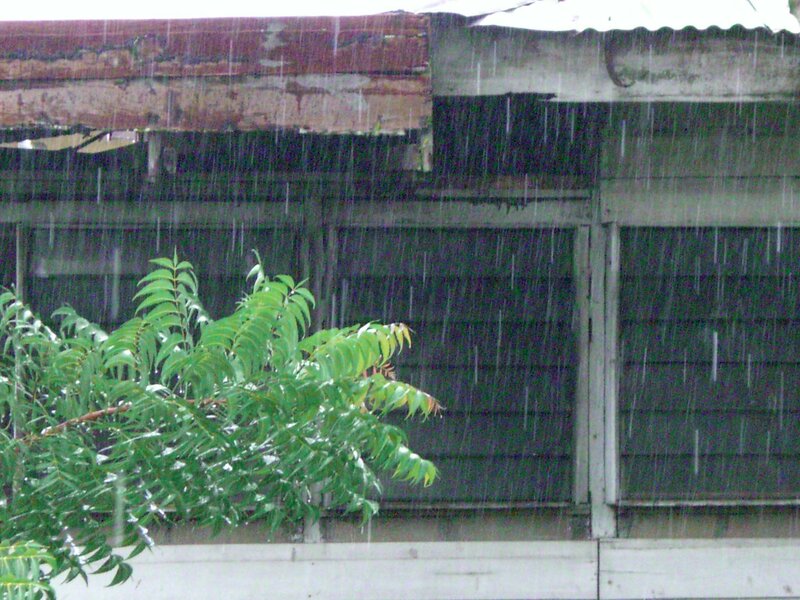 Travelling all the way to Suriname, in South America to spend a whole day staring at the rain: not cool. Is it worth sticking to high season because of the activities that can be done or not? High season often means full activity potential. Try to find a kayak to go on the sea in Montenegro off-season; I didn’t manage. Also didn’t in the Carpathian chains south of Poland: you had to be there in summer to be allowed to go for a paddle. 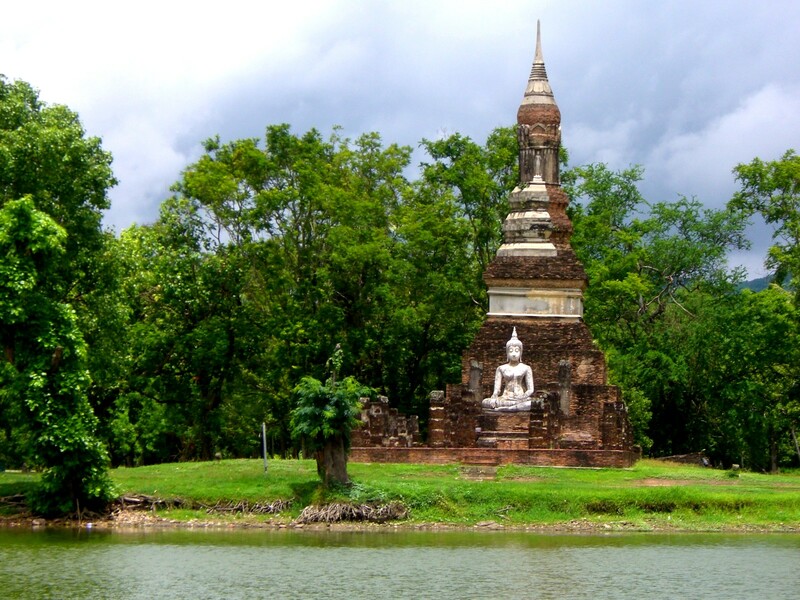 But at the same time, you can also avoid the most touristy places to find easy, spontaneous solutions. The problem of off-season exists only in highly touristy areas; in remote areas, people are happy to have you as a guest and will do anything to accommodate your whims. 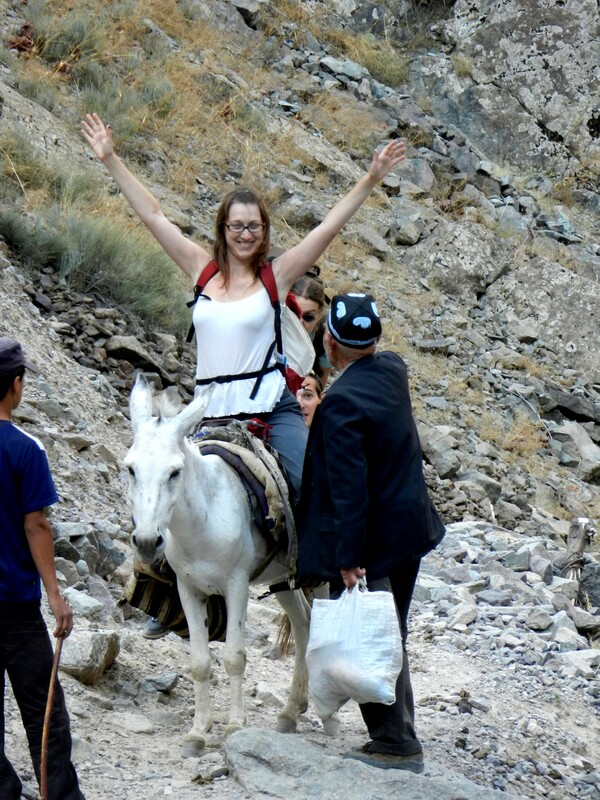 In Southern Uzbekistan, I really wanted to walk/hike with donkeys. The locals tried to accommodate my wishes; and it had nothing to do with high or low because there was no such thing as touristic season. Or, you can travel during the high season and just avoid the most crowded areas to settle where it is less busy and more human. 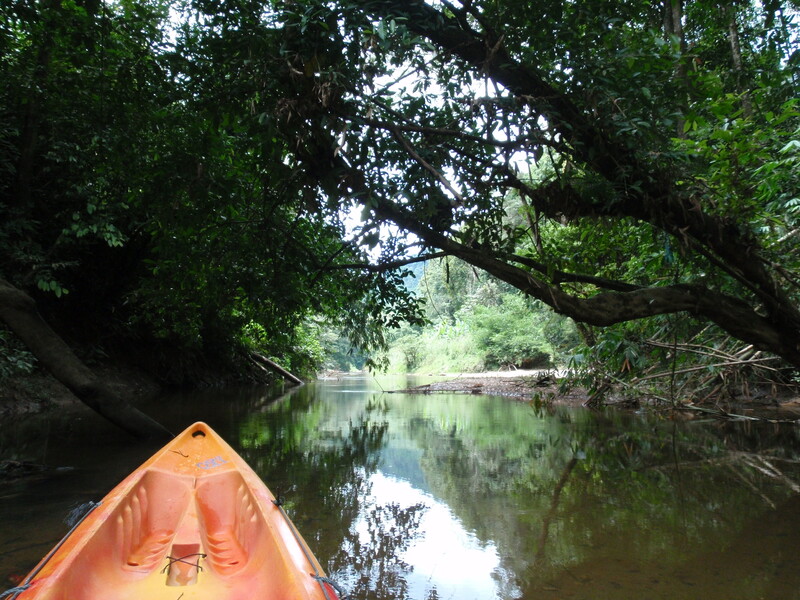 A few examples: renting a sea kayak was not a problem and was quite spontaneous in Vis island (Croatia), even during the pretty season; getting in the jungle was a no-no in continental Malaysia but not a problem at all Malaysian Northern part of Borneo, where nature is sublime and subject to other monsoon streams. (I seem to have lost my photos of that journey so unfortunately cannot share the incredible views of Borneo jungle 😦 ). But there is one subject where I have a very uncompromising mind about high season and off-season: it is photography. The problem of tourists, is that they pose. And despite my strong empathy and consumer understanding (I am a marketing consultant when I’m at work), I don’t understand this. Or better said, I don’t corroborate it. In high season, you can try as many photos as you like (here at the Genovese fortress from the Silk Road times in Crimea), you will always find people posing and uninterested in history and meanings. That’s just life. So what happens in high season, is that it is impossible to take a photo without having someone pose on it. And I could start a collection of photos of people posing – actually I should – but I haven’t yet. For some reason, I still enjoy my history monument photos virgin of any middle-class pretty tourist girl with iron-straightened-hair. I suppose nature, and ideas, interest me more. Forget about pictures of landmarks with just landmarks. Nowadays, you’ll always have pretty girls posing on them, at them, next to them, by them. 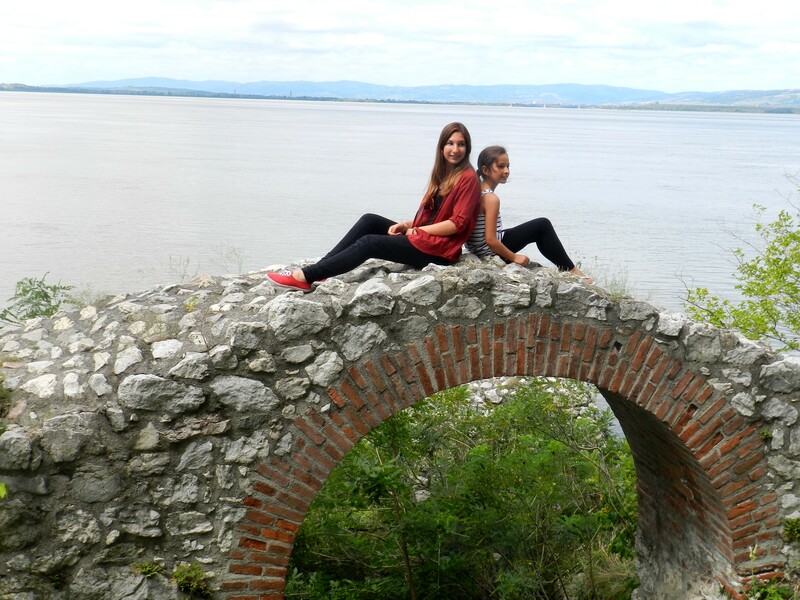 Here at Golubac fortress, in Serbia, in August 2014. No matter how spontaneous, spontaneous travel is always the best. I hate about high season that you need to make plans – plans are fine, I don’t mind making plans – but keeping them? The other advantage of travelling off-season is that, even if it will be too hot or too rainy, you will have the place for yourself. You will be able to take the photos you want. If you hesitate a bit and need several shots to compare – that won’t be a problem, because there isn’t anyone anyway. You will not have to reserve tickets online, you will not have to queue, you will not even have to wait until tourists are done with their cliché shots. Sukhothai, Thailand, June 2010. Not exactly high season, plus just after some important political riots and rain. All conditions reunited for a low tourist attraction, and indeed, the place was not just beautiful but just for us. So frankly, why travel in high season? Visiting Hampi off season is hard temperature-wise, but extremely rewarding. I have visited Prague, the Alhambra in Granada, Big Ben in London… but have no good photos of them, as it is impossible to take any photos of them without tourists artificially posing on them. Because in the end, mass tourism and its semiologic and sociologic signs are the same everywhere, and what I am interested in is the local culture, not that of tourists. I may be in a jacket and gloves, well protected from the cold. But I am alone, alone!, ALONE!! 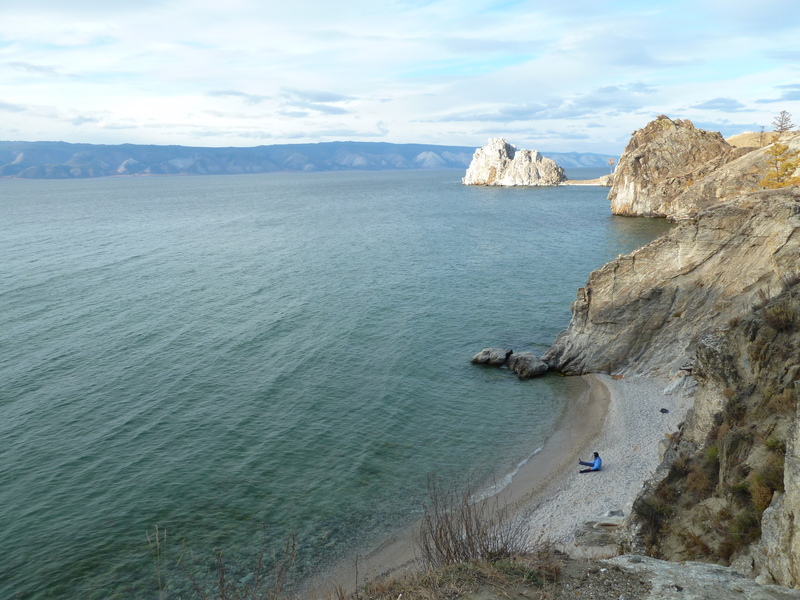 !, on a beach of the Baikal lake, on Olkhon island, in October 2010, very much off-season. Look at me!!! Wouldn’t you want to be there as well, instead of me? Sites are so much enjoyable when you have them all for yourself, and can take the photos you want in the way you want. < Previous The Monday travel song: the Event! Next > Sovietic or Capitalist? I’m right there with you when it comes to posing for photos in historical sites or in places where that shouldn’t happen at all!! I’ve seen one too many people much more interested in having their faces well in focus while taking a selfie with said statue/monument/landscape than in the place itself. Sad, isn’t it? I don’t care about off-season or high season. I don’t care about other people. I care about my own experience and what others do is not my business. I don’t think the only worthy photo is the one where there are no people on it. It’s possible. Most of those tourist won’t be up around before breakfast. It’s easier to take nice photos at dawn/early morning. There is nothing wrong with tourists posing for photos. Just because they pose, it doesn’t mean they’re not interested. Maybe they have read about the place already and now they just have a photo to prove they really were there. How can you assume things about people like that? After all, they have chosen a place for a reason. Even high number of tourists can let you enjoy the local culture. Why do you even bother about others? How other tourists stop you from interacting with locals or eating at the places frequented by locals etc.? Spontaneous travel is not always the best. You might overpay.You might miss something out. Ever heard of “I was so close and didn’t go somewhere because I didn’t know it was there.”? It’s not a fact, it’s just your own opinion. Yes, and yours is also just an opinion, not a fact either. Chill!